Usually a tall layer cake covered in cream cheese icing, red velvet cakes fill the American dessert-scape. 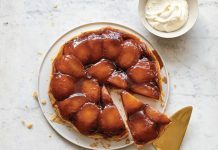 Cooks have been making velvet cakes since the late 1800s, adding in cocoa or almond flour to tenderize the wheat protein and produce cakes with a finer texture. 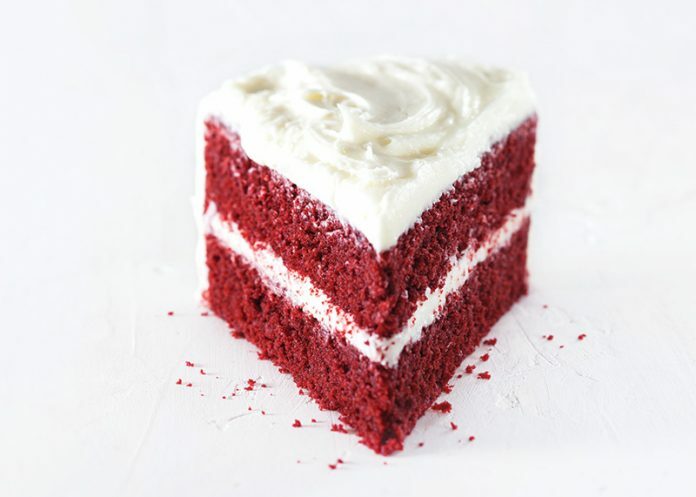 It’s debated whether the red velvet name originated from the cake’s one-time subtle red hue—the result of the cocoa—or from the use of brown sugar, which was once known as red sugar. 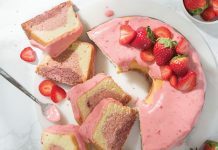 In the 1930s and 40s, the cake gained popularity across the U.S., and a lot of that can be attributed to a Texan, John A. Adams, who sold extracts and food dyes and wanted to sell more. 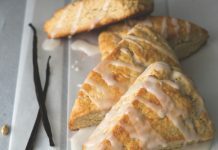 He distributed a cake recipe that was placed in stores beside bottles of vanilla and red dye. Today, cakes get their color from everything from dye to beets, and you can find versions all across the country. Tender, moist, and bright red, it’s always a showstopper. Plus, any cake that can get a cultural bump after being featured as an armadillo cake (thank you, Steel Magnolias) or help launch a cupcake craze (we’re looking at you, Magnolia Bakery) is clearly pure magic. In a city known for its obsessive food culture, this new bakery has already achieved icon status. Their deconstructed “Red Velvet Cake” features soft cake morsels that get their color from beets, Creole cream cheese ice cream, and a crunchy roch topping of white chocolate, corn flakes, and dried cherries. At this charming bakeshop on the Upper East Side, pastry cases are packed with cakes galore. The red velvet, a light red butter cake with a hint of cocoa and homestyle cream cheese frosting, is a standout here for its tender crumb and perfect ratio of cake to frosting. Fans say it also shines because it is served at room temperature. For over 25 years, Jane Lockhart has been feeding the sweet teeth of the Hollywood set, from January Jones to Ellen DeGeneres. Her red velvet cake is a three-layer beaut of rich red chocolate and buttermilk that’s decorated with cream cheese frosting (of course) as well as buttercream red poppies.